Call us Today for an appointment for a beautiful smile. We Speak English and Spanish. 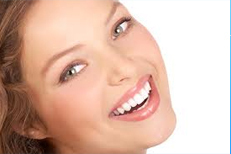 Santa Maria Dental Office is located in Santa Ana, serving Orange County, California. Santa Maria Dental Office, a premiere Santa Ana dental office are dental professionals dedicated to General Cosmetic Dentistry such as Dental Exams, Cleanings, X-rays, invisalign, Teeth Whitening, Veneers, Crowns, Root Canal, Valplast & more.